In Part 1 of our interview with Geocaching Vlogger GeoPaul, we mentioned that he had recently won a highly prestigious award from a MAJOR Geocaching website. 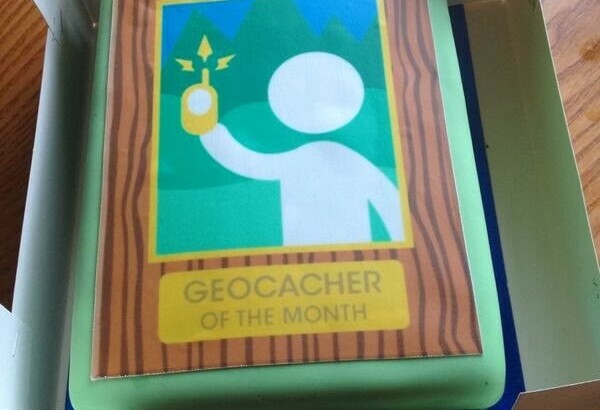 That award was Geocacher of the Month, for August 2013, as awarded by The Geocaching Blog, the official Blog of Geocaching.com. How that works, in case any readers are not familiar with the process, is that there are 3 nominees every month, nominated by readers of that blog, their peers in the community. Voting is then open, usually for 2 weeks, via comments to the blog post introducing the 3 nominees, and a panel from Geocaching HQ decides the winner. 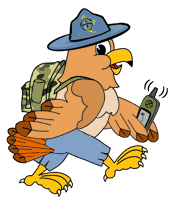 Generally, The Geocaching Blog has been naming the nominees the first few days after the Month in question, and naming the GOTM the 3rd week after the month in question. This blog certainly knows what it’s like to be behind on blogging! We now continue our interview with GeoPaul. 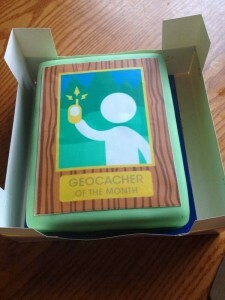 OCNA Blog: Belated congratulations on being named Geocacher of the month for August, 2013 on the Geocaching.com Blog. Was the nomination for the award a surprise to you? GeoPaul: Yes, a complete surprise. I was very touched by the nomination by Mumma Fox! But the biggest surprise was the comments people made about me in their votes, alot of them made me feel my Vlogging, caches and advice were worth the time and effort I put in and want to continue them. OCNA Blog: What did they send you for being named Geocacher of the Month? Certainly they didn’t send you that Geocacher of the Month cake that you posted a picture of on Twitter? GeoPaul: Nope the cake was a gift from my wife for the event which was amazing that she used the image of the actual Geocacher of the Month GeoCoin – i received the GeoCoin with a stand, certificate from the founding members of Geocaching.com, hat, lacky track-able items and a card congratulating me on winning. OCNA Blog: The original nomination for Geocacher of the month stressed your hides, as well as your Geocaching Vlogger efforts. I see you have racked up many favorite points for your hides. What makes for a good hide, in your opinion? GeoPaul: An interesting cache to me is not your normal clip and lock box or micro, its a cache with a bit of imagination, something you wouldnt expect or if it is a normal cache, something different in the location of the hide or a story behind it. For example my enchanted cache is a small fairy house (cache clipped inside) with a garden around it and at the height of spring and early summer is surrounded by bluebells and daffodils creating the effect of an enchanted wood. Thanks for the interview, Geopaul! If you’d like to look at the cache pages for some of his hides, remember that he is Dr Evil. on Geocaching.com, not GeoPaul. And here again is the link to his YouTube Channel. We will leave you with another video, Paul hiding one of his caches, a Geo Duck, so to speak. And just when you think the video is over, keep watching, there’s an interesting little story at the end.